The Hilton Barnfield team in our Exeter studio on Heavitree Road. 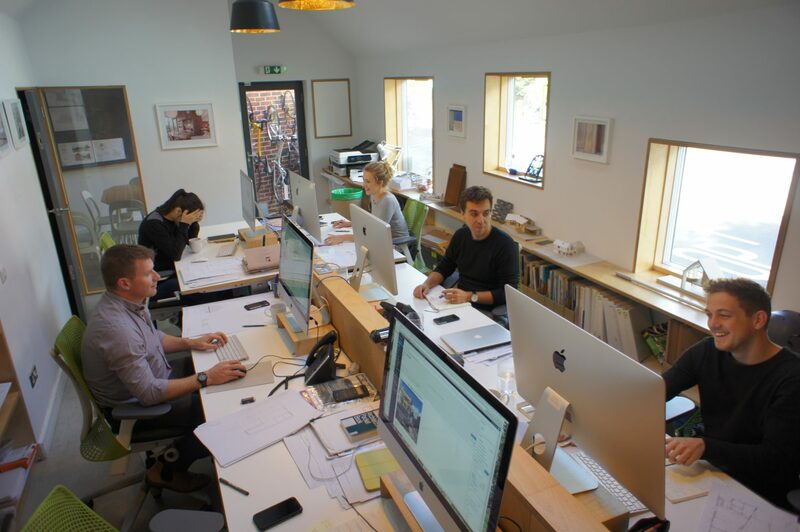 With an ever increasing workload we have recently recruited a new Architectural Assistant. Hannah Keane joined us at the end of September having graduated from her undergraduate studies at the University of Northumbria. Hannah grew up in Devon and has returned home to gain some professional experience before continuing with her studies. 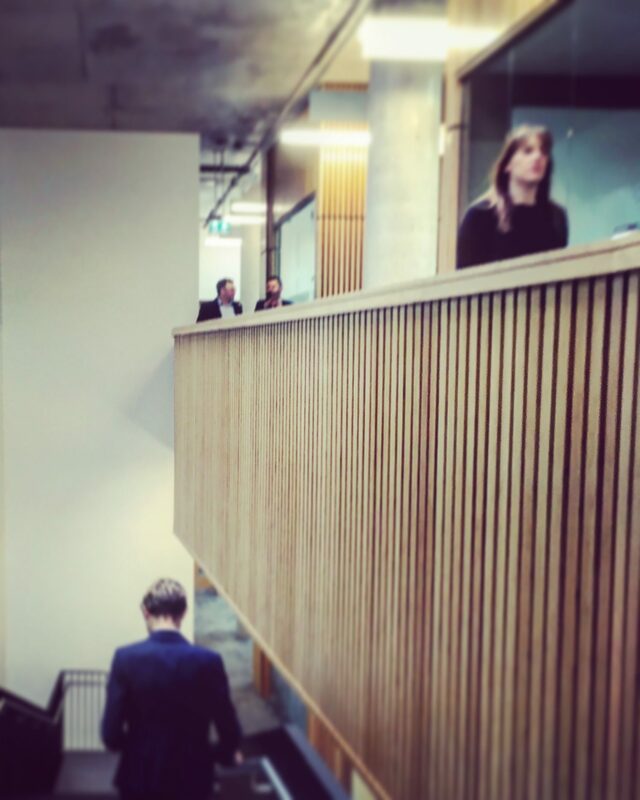 The team recently enjoyed the RIBA local branch’s planned building tour of the Living Systems Institute at Exeter University designed by London Architects Hawkins Brown. 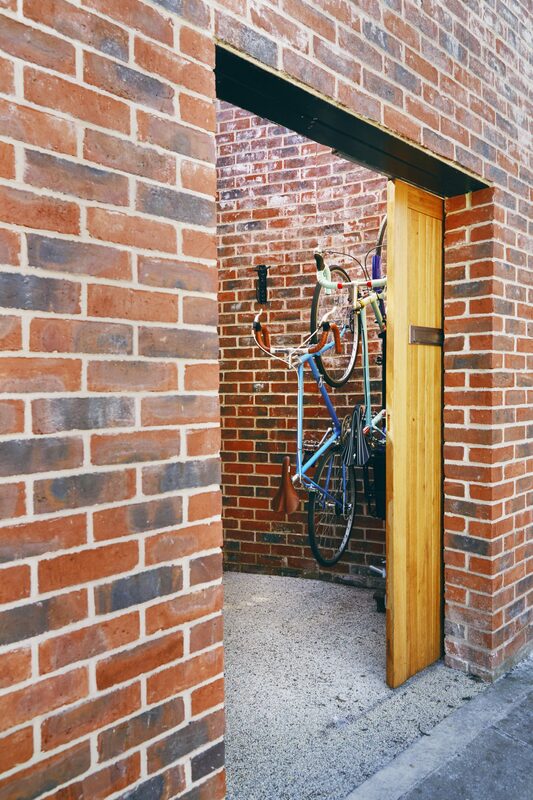 It was great to see such an aspirational project being realised in Devon and interesting to hear the architects explain some of the challenges they had to overcome. The tour was attended by a number of local Devon Architects and it was a good opportunity to catch up with some other local professionals as well as to see the new building at the University. 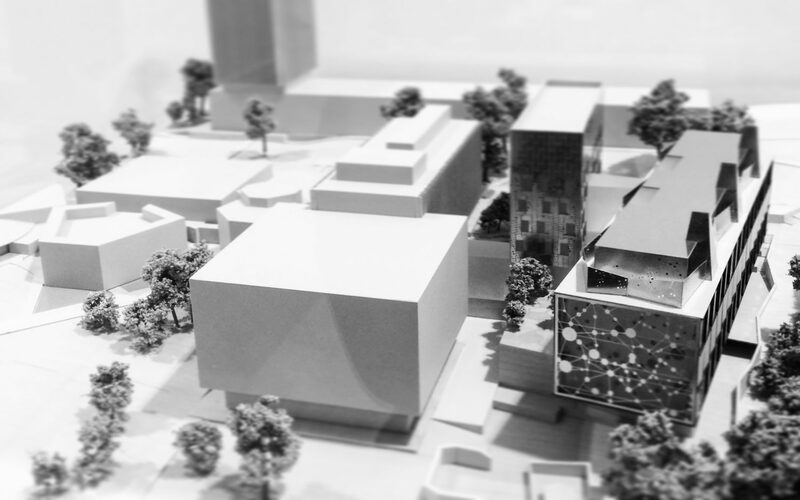 Thanks to the team at the RIBA and in particular Dr. Maria Rosaria and Catherine Gandon for organising the event. 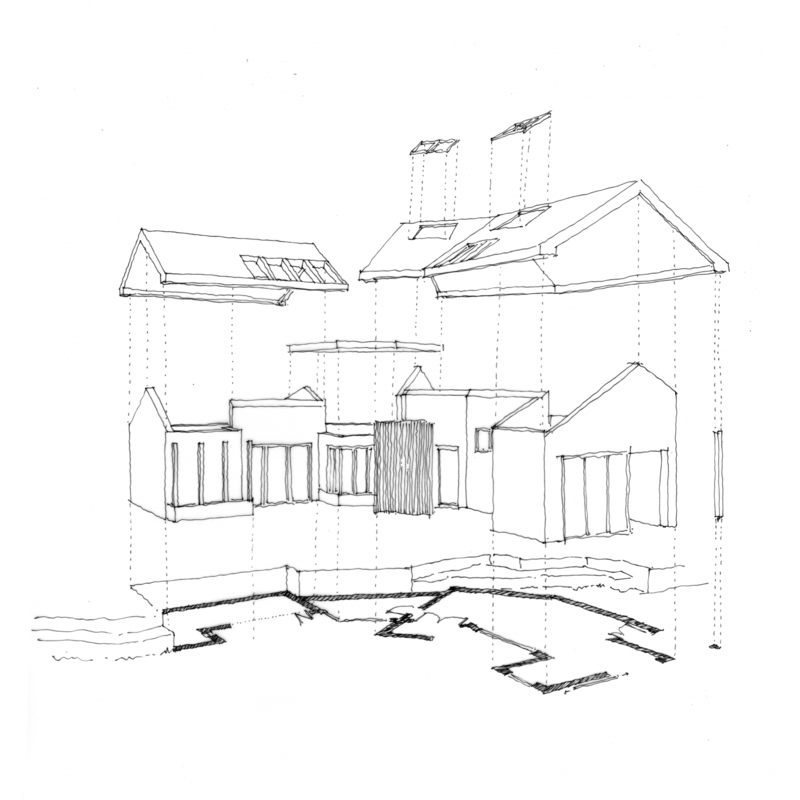 An original concept sketch for a furniture workshop and studio in Dartmoor that has been recently completed by our team of architects with Leo and Chantal from X4 Construction. 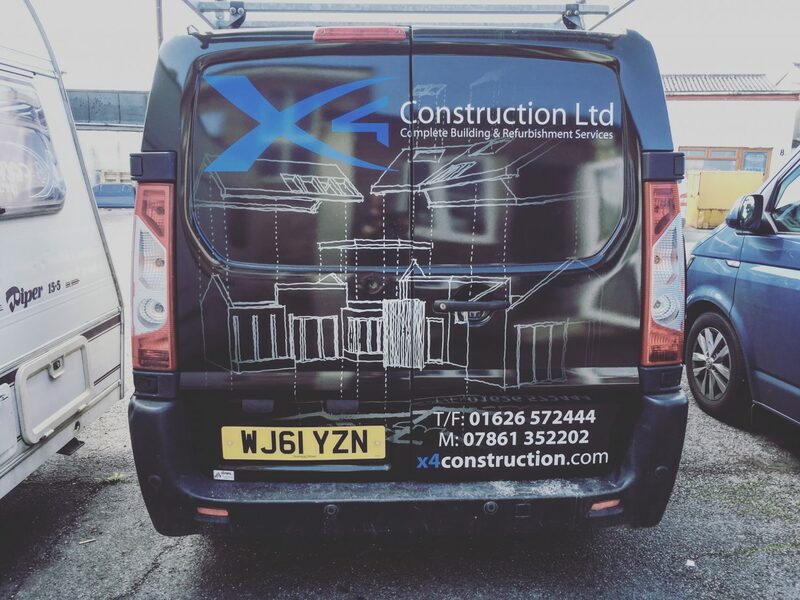 X4 Construction, a local builder we have been working with on a number of projects in Devon recently asked us to assist them with the graphic design for the new vans. Joe Coulter prepared this sketch of one of the projects they have recently completed with us on Dartmoor and they have had the image printed on to the back of their new vehicles.